Dr Jason Wolf, a Senior Lecturer in evolutionary genetics, has been awarded the Scientific Medal by the Zoological Society of London (ZSL) for his work. Dr Jason Wolf, a Senior Lecturer in evolutionary genetics from our Department of Biology & Biochemistry, has been awarded the Scientific Medal by the Zoological Society of London (ZSL) for his work in the field. The ZSL awards the medal for outstanding contributions to the fields of zoological research and conservation. Dr Wolf will receive the award at a ceremony on 18 June at the Society’s headquarters in London. His research integrates mathematical and experimental approaches to understand how traits evolve. 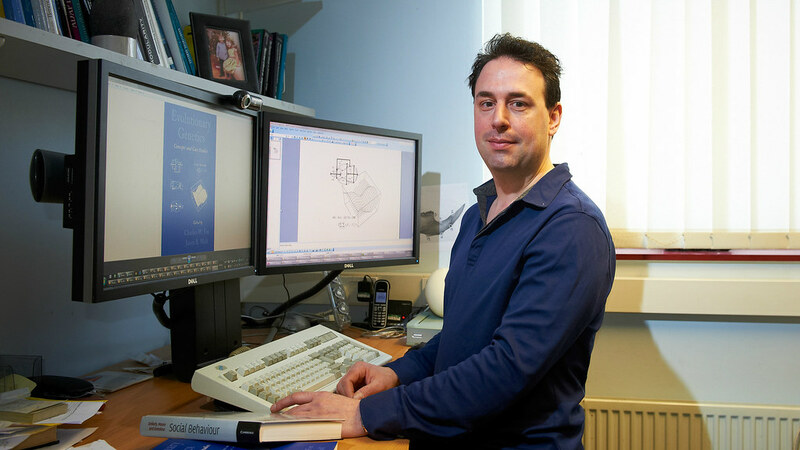 Dr Wolf was nominated by colleague and previous winner of the medal in 2002, Professor Laurence Hurst whosaid: “Jason, even though early in his career, has already profoundly changed our understanding of the evolution of complex characteristics. Head of Department of Biology & Biochemistry, Dr Richard Hooley said: “The award is richly-deserved recognition of the outstanding achievements Jason has made in his studies of the evolutionary genetics of complex characters." Dr Wolf is the third member of the department to be awarded this medal in recent years: colleague Professor Edward Feil was awarded the Scientific Medal in 2011.